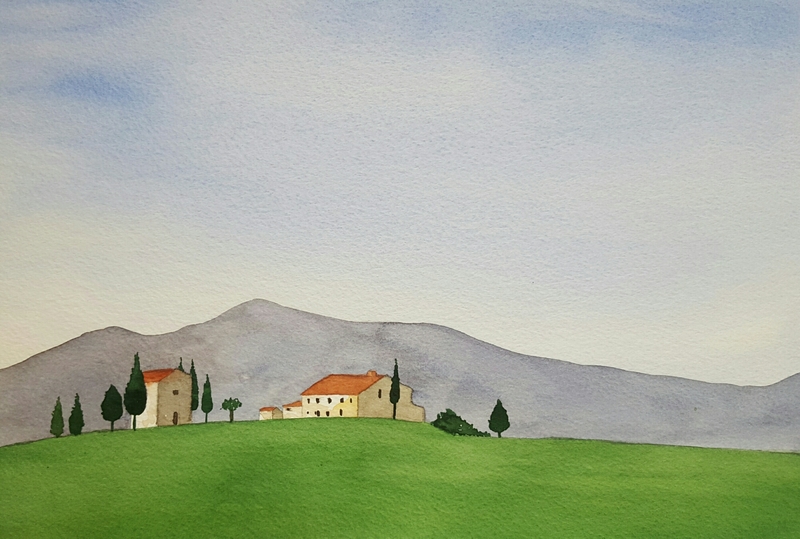 This is another watercolour piece that I completed during a class with a student. We used David Hollis’ “Practical Landscape Painting” as reference. What struck me was how, even with the same instructions, we each came up with something different in our own unique style. We really do paint ourselves….